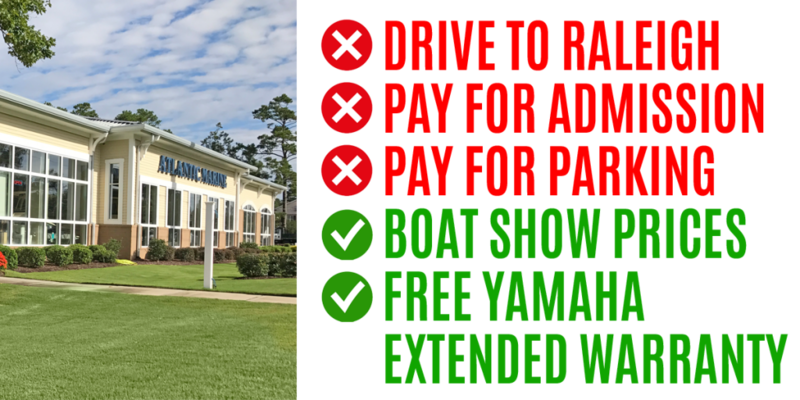 Save yourself the hassle of the Raleigh Boat Show and visit our showroom this Friday, Saturday, and Sunday! More Grady-White Boats on display than the Raleigh show, free Yamaha extended warranty with every new boat purchased, special finance offers, and of course, Raleigh Boat Show prices. No admission fee, free parking, and no hassle! It’s all available at our Wilmington showroom this Friday, Saturday, and Sunday, February 8-10.